As I started off on my most recent adventure, I thought how appropriate my title “On the Road” would be for this trip. I was truly “on the road” for the better part of three days–on all kinds of roads, from tollways and interstates, to Main Streets and country roads that eventually took me through five states. From Fort Wayne, I traveled into Ohio–my third state on the trip. My first stop was Transport NationaLease in Montpelier, OH. Larry Dean and Joe Huston shared some of the history of their company and gave me a tour of their facility. We spent some time reviewing our supply management programs and discussing how we can help save them money on their purchases through both highly competitive pricing and our rebate program. I am always available to review these programs with any of our members to make sure they are getting the best prices on everything they purchase. 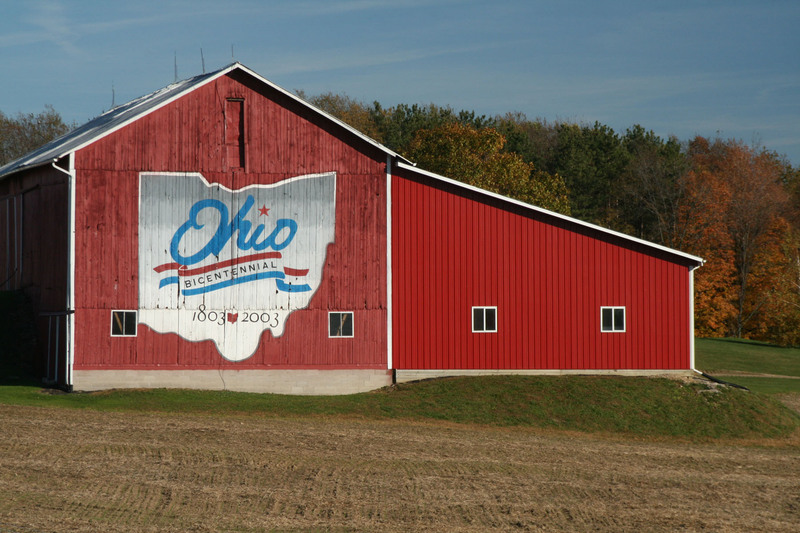 Leaving Montpelier and heading south toward Cincinnati took me on a pleasant drive through the country, passing farms with well-preserved and sometimes elaborately painted barns. I also passed through several small Ohio towns— Bryan, Defiance, Kalida—past the county courthouses and downtown business districts, then back to the interstate and on to Sidney, where I stopped in to see the team at Kirk NationaLease. I chatted with Karen Wise and Jeff Phlipot about their recent growth and business opportunities. Sharon Solano, their Human Resources and Safety Director, joined us to discuss their hiring challenges and opportunities. Sharon has been using the NationaLease Career page with great success. It is a great place for NationaLease members to post their job openings, and a great resource for job seekers to find jobs all over North America. Check it out at http://www.nationalease.com/careers/. My reservation for the evening was in Cincinnati, so I drove the short distance and checked into a hotel near Fountain Square. I was able to avoid the storms that came through and had dinner overlooking the square and a summer music festival being held there that eventually got rained out. After a good night’s sleep, I got back on the highway to my next destination (and fourth state), West Virginia. I soon left the interstate for increasingly smaller highways as my route through Ohio became much more picturesque, winding through woods and hills and eventually back to an interstate, across the bridge into West Virginia. Arriving in Mineral Wells, WV, I met with Dave Keppel of Matheny Leasing, Inc., a NationaLease Member. Among many other topics, we discussed the Rebate Reboot initiative under way to help members maximize their rebates. Dave also told me about the work that Matheny does for the very nearby Hino plant. Since I was going to be passing within a mile of the plant when I left Matheny, Dave drew me a map and I took a quick detour to see the field of fresh-off-the-production-line, all-white Hinos. My route actually took me back into Ohio before crossing again into West Virginia and a stop for the night in Wheeling. The next morning, I met with Chad and Ron Remp at Lobster Truck Leasing and Rental, Inc., a NationaLease Member. Immediately upon walking into their facility, there were two things that grabbed my attention. One was a large map of the world with pins all over North America, South America, Europe, Australia, Africa and China. The second was a large collection of plaques, each bearing a piece of foreign currency. Of course, I had to ask the significance of these items, and learned that in addition to their leasing business, they also have a very active truck parts business. In fact, they are currently doing business in 89 countries. The pins represented each city where they are doing business, and the plaques were awarded them by the State of West Virginia. Each time they begin doing business with a new country, the state government sends them a plaque with a sample of that country’s currency. Chad shared some fascinating stories of his travels to these countries and some of the unique aspects of doing business in other cultures. We also talked about the upcoming NationaLease meetings this fall, including the Annual Meeting and Financial Officers Meeting in Chicago in September, the Canadian Summit in Toronto in November, and the Sales Meeting in San Antonio in November. Information about all of our upcoming meetings is on our Website at http://www.nationalease.com/events/. I got back on the road for the final leg of my journey, into my fifth state, Pennsylvania. I’m not sure it really counts, since I just crossed the border to the Pittsburgh airport, but the “on the road” portion of my trip ended as I settled in for a much shorter trip home–by air. Seeing just this small segment of the roads criss-crossing North America reminds me of how important the roads, and the trucks that drive on them, are to all of us. Every one of us affiliated with NationaLease plays a crucial part in keeping those trucks on the road to bring us all the things we use every day. When I started working at NationaLease, I began paying much closer attention to the trucks on the road. Looking for the NationaLease mudflaps or 4×4 stickers is a favorite pastime as I am driving. I’ve even gotten my friends and family into this game, and I occasionally get an emailed photo of a truck with a NationaLease logo. Each one of those trucks represents the hard work and dedication of a group of people, both local and nationwide, who are committed to making sure that the cargo carried in that trailer reaches the destination on time. The culture of treating every NationaLease truck as if it were your own is what has allowed NationaLease to grow into the largest independent full service leasing organization in North America, and what will continue to sustain and grow the network into the future. Thanks to all of you who work hard every day to make sure each NationaLease truck stays safe and sound and on the road.